Labor Day signals the end of the summer travel season, but it also offers the opportunity for one last summer getaway before school starts and the work pace picks up again. With direct nonstop flights from cities across the United States and Canada and an impressive array of activities and a favorable exchange rate, Puerto Vallarta is an ideal location for all travelers seeking a last-minute getaway at great prices. 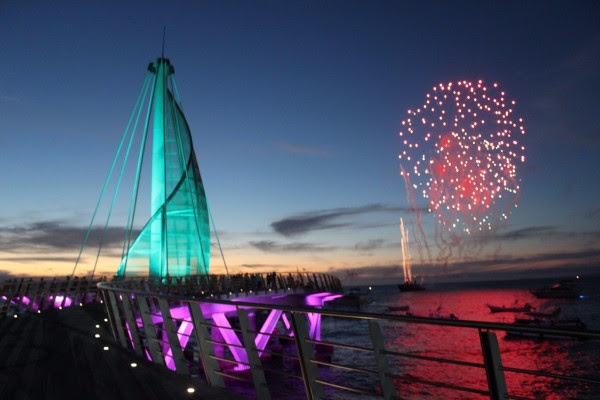 Puerto Vallarta has partnered with local hotels and airlines to provide the best last-minute deals, for more information and to book a trip, visit www.visitpuertovallarta.com. Puerto Vallarta is one of Mexico’s top family destinations and ideal for all types of family trips, from multi-generational to single parent visits. 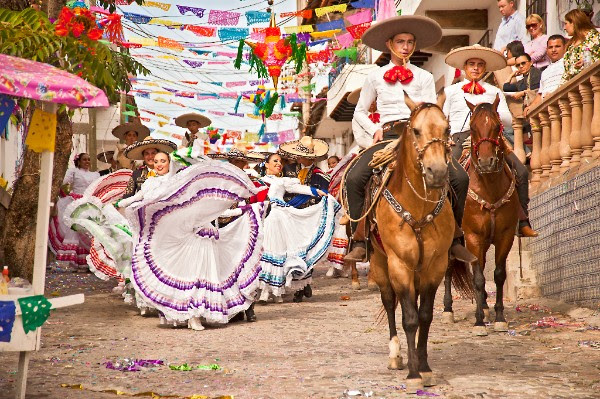 The city offers a myriad of outdoor activities that can turn a visit to Puerto Vallarta into a fun-filled packed adventure – from water sports to swimming with dolphins and releasing baby turtles into the Pacific Ocean to zip lining, horseback riding, rappelling and riding quad bikes in the surrounding sierra Madre Mountains. In addition, most resorts have kids’ clubs where children under 12 can participate in various activities while older kids will find activities coordinators to help them create their idea of a fun vacation. Millennials will find that the city of Puerto Vallarta provides a unique way to experience everyday Mexican life or simply enjoy international amenities such as a relaxing day at a luxurious Spa. Puerto Vallarta is home to over 350 restaurants ranging from internationally renowned establishments to mom-and-pop eateries offering special delicacies and local dishes that have been handed down for generations. For a more active culinary adventure, try a guided walking or bicycle taco tour and taste a variety of tacos while getting to know the city’s historic downtown area; or opt for the evening taco tour to start the night right. Several restaurants and hotels also offer cooking classes that include a visit to the local markets to hand-select fresh ingredients. While in town, make sure to sample Tequila. Puerto Vallarta is in the birthplace of the spirit and visitors can sample artisan Tequila in hotels or surrounding towns like San Sebastian del Oeste. Most locations that serve Tequila also offer Raicilla, a local spirit of pre-Hispanic origin made from the green agave root that can only be found in Puerto Vallarta. Puerto Vallarta grew into a tourism destination thanks to a famous love story between two Hollywood stars who adored the city, bought a home and returned every year for their annual holiday with family and friends. Today it continues to be one of the most romantic destinations in the world. 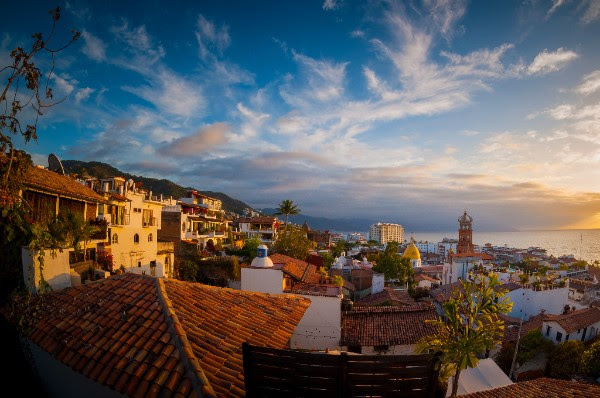 Blessed by mother nature, Puerto Vallarta is set between the breathtaking bay of Banderas and lush Sierra Madre mountains, combined with quaint cobbled street of its historic downtown, the city is renowned for its natural beauty. From couples’ massages to a walk along the Malecon (boardwalk) at sunset, a candle light dinner or a stay at a secluded retreat and remote beaches, couples will find that Puerto Vallarta offers the perfect romantic setting. Take advantage of the last days of summer for a girls’ trip or a guys’ getaways. Swim with dolphins in the wild, play a round of golf, take a cooking class, catch some fish, relax on a luxury yacht or enjoy one of Mexico’s most entertaining nightlife’s. Puerto Vallarta is also home to dozens of art galleries which provide for an entertaining excursion of art viewing and interacting with local artists or shopping. For more active groups seeking an adrenaline rush, Puerto Vallarta also offers the opportunity to fly from mountain to mountain by ziplining or crossing hanging bridges on an ATV or mountain bike across challenging trails around the Sierra Madre mountains. The Puerto Vallarta area offers 26 miles of beautiful beaches along the Pacific Ocean, eight of which are certified Blue Flag Beaches. The warm and sunny year-round weather makes it an ideal destination for those seeking some fun in the sun; from simply laying on the beach or by the pool, to playing ball or throwing a frisbee, or enjoying the warm pacific waters on top of a standup paddle or snorkeling with the local sea life. Another option is to step into one of Puerto Vallarta’s luxurious beach clubs for a pampered experience with gourmet food and mixed drinks. Travelers wishing to explore the natural oasis and warm Pacific Ocean waters in a secluded setting, will find a variety of ways to enjoy pristine secluded beaches. Take a short round-trip water taxi ride from Los Muertos Beach to secluded coves or isolated beaches like Colomitos, Las Animas, Boca de Tomatlan, Majahuitas, Quimixto, Playa El Caballo and many others.